Long wearing, non-toxic and safe for the environment. 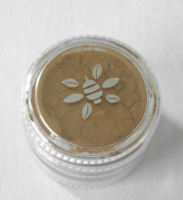 Honeybee Gardens nail polish is, kind to your nails, natural and not test on animals. Wash and dry hands well. Shake the nail polish well. Apply two thin coats as these will dry faster than one thick coat. Water based polish will dry to a tack-free state nearly as fast as regular polish, but cold hands, low temperatures and high humidity can prolong the drying time. Water resistant in about 15mins and able to withstand other chemicals (shampooing, washing up etc) after about an hour. This product may be harder to remove from toe nails because toe nails are naturally drier and have less natural oils. Water based polish cannot be removed with acetone removers. Use our natural nail polish remover or vodka or grain alcohol to remove. Hold wetted cottonwool ball on nail for a few seconds & then rub.